Free Days with George is a book written by Newf Friends adopter Colin Campbell. 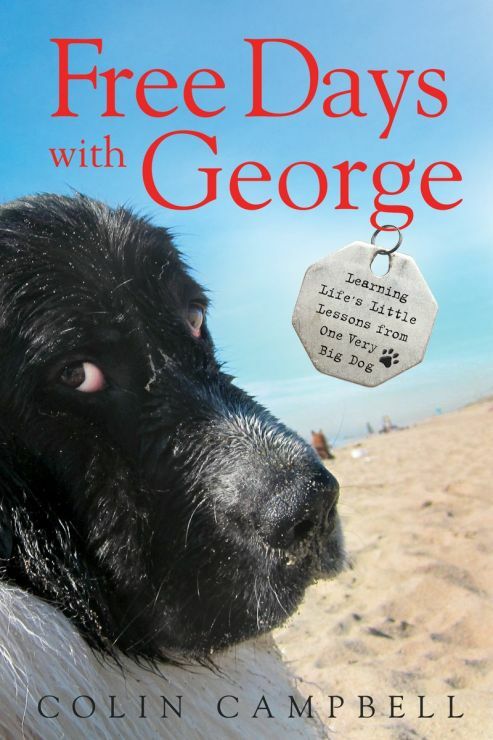 Colin adopted George from Newf Friends in 2009 and this book is about their life together. A heartwarming, true story about George, a rescue dog who helps his owner rediscover love and happiness. Marley & Me meets Tuesdays with Morrie and The Art of Racing in the Rain--get your tissues ready animal lovers! All proceeds of books ordered through Newf Friends go directly to our rescue. How wonderful is that?!?! The book is soft cover and includes many fun pictures of George on his adventures. The book is $20 + $10 shipping.